Rainbow ~ the bridge between the mystical & the everyday world. Labyrinth ~ our spiralling, life path into wholeness. Lynn Solang’s aim is to help you live your life fully, deeply & richly in harmonious, balanced & heart-centred ways. 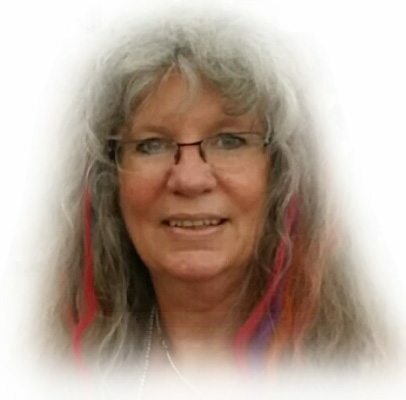 As an Intuitive Shaman and Healer with a wealth of experience, she combines her intuition & professional training with shamanic pathways to promote practical, every day, holistic health and well-being. As an Intuitive Shamanic practitioner, she continuously works on expanding her awareness & understanding of how to live life more harmoniously via real, authentic and practical ways which are easily applied to everyday life. Why don’t you come take a walk with her … & see how much more empowered you feel when you’re living your life in ways which enrich you every day! What’s an Intuitive Shaman & How Did I Become One? Simply put, an Intuitive Shaman is someone who is mostly ‘self-taught’ via their intuitive, psychic abilities in harmonious conjunction with their connection and communication with their personal spirit teachers, ancestors, guides or allies from beyond ordinary reality to work for the betterment of all. Intuitive Shamans are here to assist with the harmonious interactions, healing and well-BEing of others and our Mother Earth.